1′ 4″ h, 8″ dia. Precarious endeavor — glass art design. Do you see what I see? As a child, I wondered if what I saw was identical to what others saw? A flat slab with four legs is a table. But do you see the exact same table as I do? There is no proving it either way. The table is a solid, tangible, physical object. And, yet, there is a huge element of unknown. 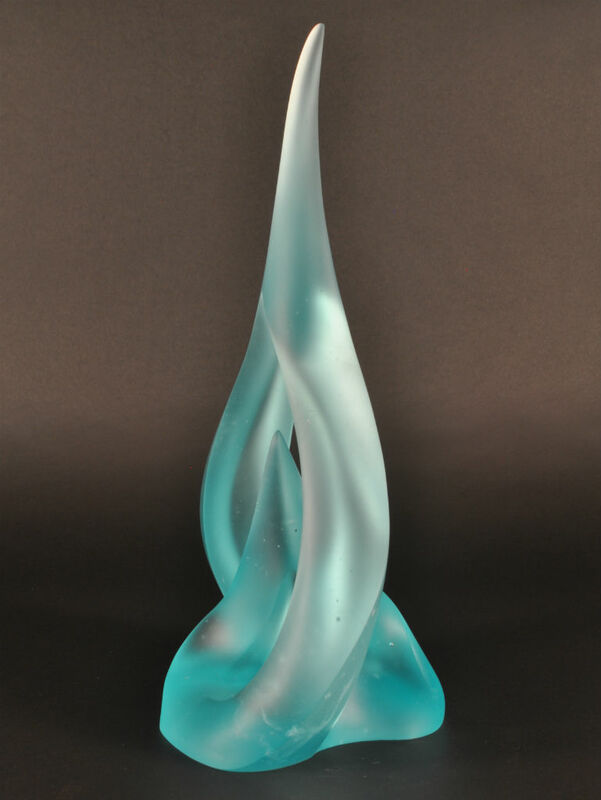 Shift to the intangible vision of an object – a glass art design – in my mind. Why should I be surprised that you cannot see what I see? It’s right there! Isn’t it? Or is it? Collectors commission a sculpture. I complete the rough design in wax to the point where I know that it will work — and where everything “is.” The collectors come to see it. They don’t like it. That’s okay, because our agreement is, if you don’t like it, I will complete it anyway, for myself, for a gallery. But…when they see it again during a second studio visit (to discuss a different commission), the initial piece is finished. In glass. In pale copper blue crystal. Lighted in (forgive my prejudice) all its glory. They love it. And add it to their collection. Even participate in the naming – Blue Pyro. 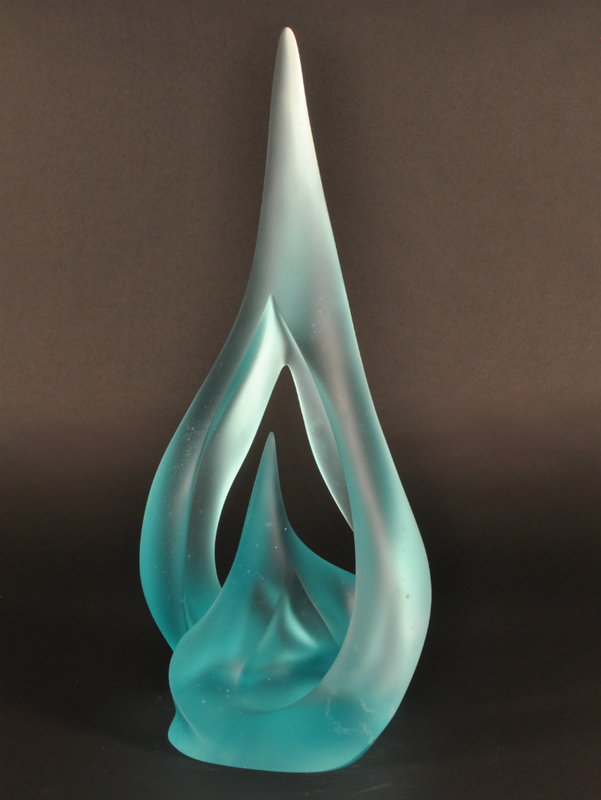 It can be a precarious endeavor — this business of glass art design. But ask me if I love it? You know I do! Approaching completion of rough sculpture … hmmm! Rough, bumpy surface. Grinding & sanding comes next. Blue Pyro. Finished sculpture. Ethereal in pale copper blue.